After a successful campaign in Karachi and Hyderabad, CDC conducted Investor Awareness Seminars in Lahore, Islamabad, Rawalpindi, Multan, Gujranwala and Faisalabad from 16th to 22nd March 2014. These seminars were organized particularly in the context of current regulatory initiatives where subscriptions of CDC Access SMS and Email Alerts have been made mandatory by the Securities & Exchange Commission of Pakistan. This initiative was also taken in line with CDC’s belief that an informed investor is more enabled to keep his investment secure. The audience was briefed about CDC’s role, responsibilities and service offerings. 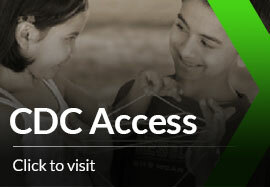 The free-of-cost CDC access portfolio was also introduced. Investors were apprised about their role, responsibilities and rights as well. Constructive criticism from the attendees included a demand that all Capital Market entities should conduct collaborative programs so that all the stakeholders can come under one roof and discuss concerns, opportunities and challenges. According to them such acts of solidarity will quash uncertainty, doubts and rumors which always surround the capital market, giving investors the feel-good factor that their investment portfolios are in safe hands. It was also suggested that mechanisms and processes that ratify the Broker’s trustworthiness should be devised. Officials from SECP and ISE also attended the seminar held in Islamabad. The attendees in almost all cities also stressed that CDC should show presence on a monthly basis in the form of day-long sessions or IPV desks. All the queries and concerns were dealt with expertly by the CDC team.